There is no rest for the fight addict. After a stellar weekend of fights highlighted by the insanity that was UFC Fight Night 143, we have another weekend filled to the brim with fights. 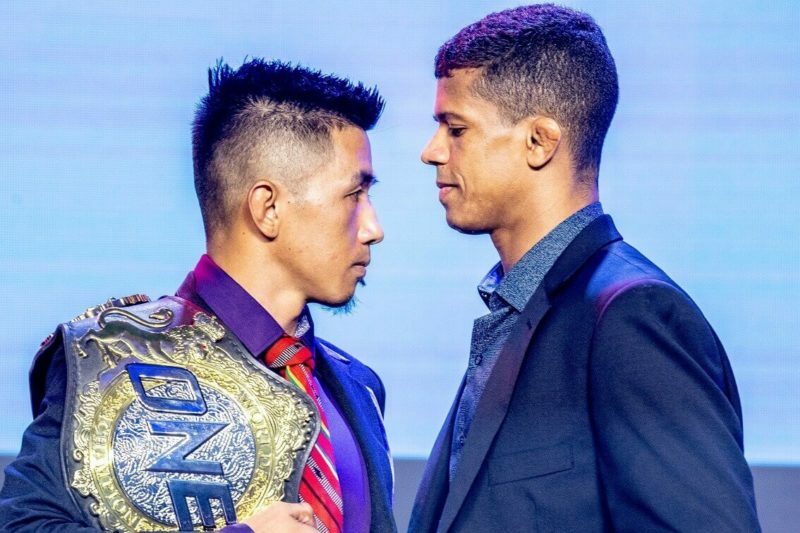 On Friday morning, 7 AM ET, ONE Championship will be live from the Phillippines with ONE: Hero’s Ascent headlined by a trilogy fight for the ONE Flyweight Championship. Later that evening, LFA 58 will air live from New Mexico, featuring a stellar main event between Harvey Park and Jaleel Willis. Get whatever sleep you can on Friday night, because M-1 Challenge 101 kicks off at 7 AM ET, followed by ACA 91 at 2 PM ET before the highly anticipated conclusion of the Bellator Heavyweight Grand Prix between Fedor Emelianenko and Ryan Bader at Bellator 214. If your weekend doesn’t revolve around cramming in as much MMA as possible, it may be a little difficult to catch all of these fights. Allow me to help you prioritize the three best fights of the weekend! 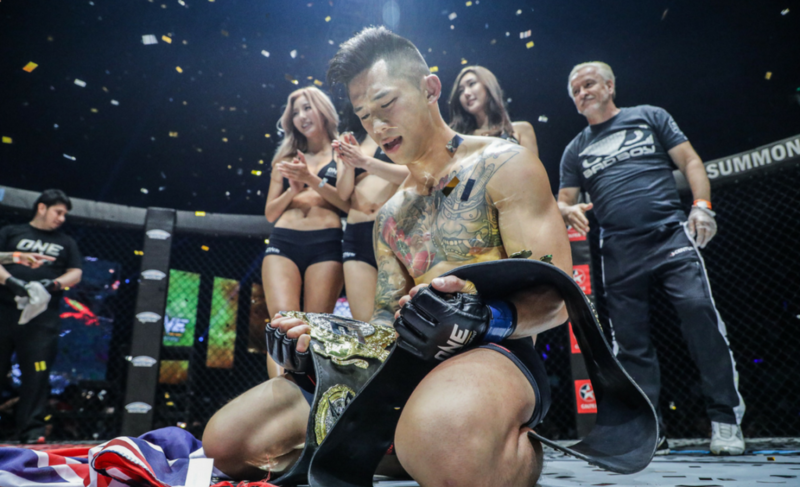 If you haven’t been paying attention, ONE Championship is the midst of a run of fantastic events, and with everything they have confirmed for 2019 that isn’t likely to change. Up next for the Asian MMA juggernaut is ONE: Hero’s Ascent featuring a trilogy bout for the promotion’s flyweight championship. Geje Eustaquio defends his title against the man he defeated for the belt, Adriano Moraes. These men are quite familiar with one another having fought twice previously, with each picking up a victory over the other. The pair first met in 2014 for the ONE Flyweight Championship where Moraes picked up a second round submission victory over Eustaquio. 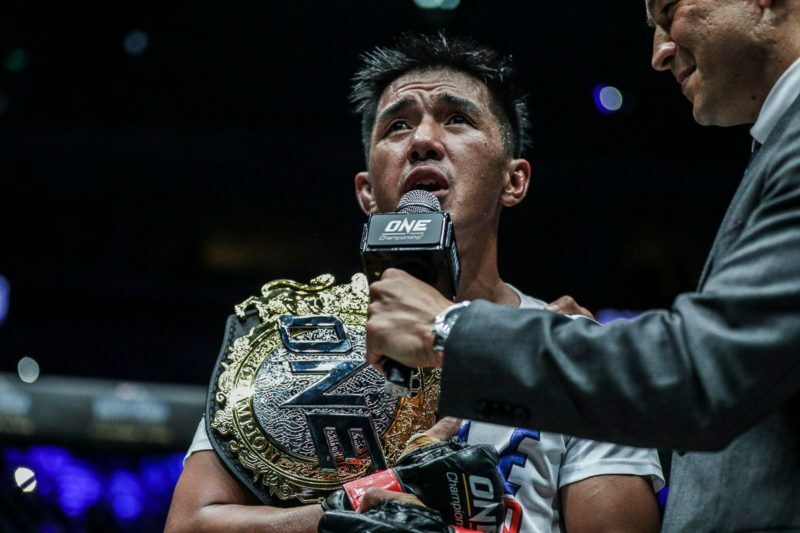 The second clash came in June 2018 and unified the ONE Flyweight Championship, with Eustaquio coming in this time as the interim flyweight champion. The two fought a hotly contested bout ending in a split decision with both men able to make a strong argument to why they believed they had won. In the first round, the Team Lakay veteran Geje Eustaquio attacked the strength of Moraes by taking him down. While he was able to land some ground and pound, Moraes caught him in a deep guillotine and an armbar towards the end of the round, with “Gravity” escaping both. The rest of the fight saw much of the same. The Brazilian Moraes was able to consistently attack”Gravity” with submissions when the fight hit the mat but was not able to put Geje away. That led to prolonged periods with Moraes on his back, letting “Gravity” rack up control time and strikes from the top. Ultimately, two of the three judges favored the top attack of Eustaquio over the submission-heavy offense of Moraes, awarding the Phillipino the undisputed ONE Flyweight Championship. The fight had its decision, but the bigger picture as to the better man was still unclear. 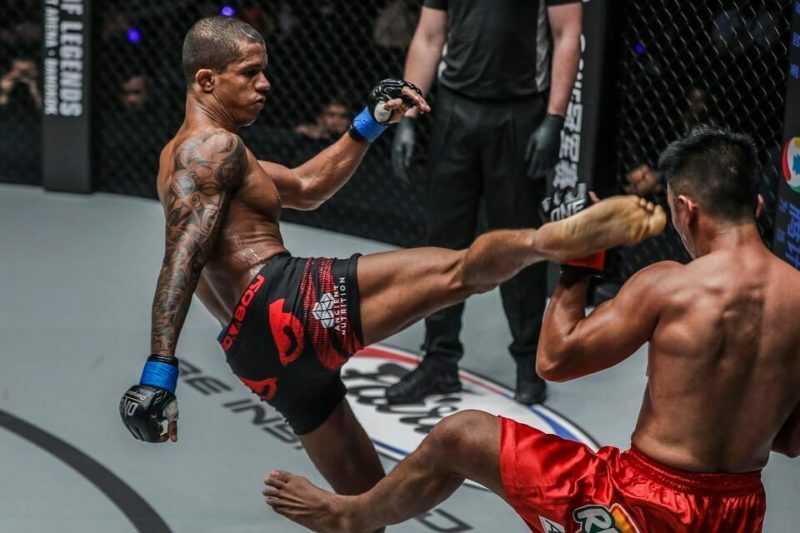 While Eustaquio had the higher output, Moraes was the party who was consistently looking to end the fight and almost accomplished that on several occasions. An immediate third fight was the clear-cut next option for both men. Both fighters will have a renewed sense of confidence heading into the third fight of their rivalry. Eustaquio’s work with Team Lakay has filled in the holes that lead to his demise against Moraes nearly five years ago. He knows he has what it takes to withstand the most dangerous aspect of Moraes’ game. On the flip side, Moraes has confirmed his ability to stand with Eustaquio, widely considered the better striker. It is also apparent that he still has the chops to put “Gravity” in a dire position in grappling exchanges. Moraes had Eustaquio in two deep guillotines, took his back both standing and on the mat, and slapped on a deep armbar attempt. While none of those finished the fight, just getting “Gravity” in those spots will undoubtedly boost the Brazilian in their trilogy. I want nothing more than to spend my Friday morning watching these two world-class athletes settle a score. Just don’t tell my boss. Things are heating up in the Bellator featherweight division. The co-main event of Bellator 214 features the combat sports prodigy Aaron Pico taking on Henry “OK” Corrales. The winner will leave The Forum in Inglewood, CA on a five-fight win streak and a legitimate claim at the next shot the Bellator Featherweight Championship. Pico has been groomed for combat sports greatness from a young age. Saturday represents the next, and toughest, step in his MMA endeavor. Since his disastrous début loss in 2017, the 22-year-old has rattled off four consecutive wins with all four coming by first-round finish. The Freddie Roach-trained fighter has been able to extinguish his foes with his Golden Glove Championship boxing, folding all four men with strikes. We have only seen a glimpse into his wrestling pedigree; a pedigree that includes a high school national championship, international championships and a 2nd place finish at the Olympic trials as a teenager. He may need it all to beat Corrales. Pico seemingly has the edge in several facets of the game. Aaron is the better athlete, the better boxer and the superior wrestler. Corrales is the best striker Pico has faced to date, but his tendency to get into brawls and the wide angles of his some of his punches will provide space for a traditionally trained boxer like Pico to capitalize. “OK” has stellar takedown defense, but it’s not perfect. The upper echelon grapplers have been able to put him on his back, and Pico’s wrestling undoubtedly qualifies as “upper echelon.” As long as Pico protects his neck and minds his limbs, the takedown should present itself as an option should things on the feet go wrong. The tables turn when discussing the intangible factors of MMA. Pico is no stranger to competing at a high level, but this is still only his sixth MMA bout. Corrales has 19 pro bouts under his belt and has shared the cage with guys like Emmanuel Sanchez, Daniel Strauss, and Patricio Freire. All four of Pico’s last opponents have looked overwhelmed sharing the cage with him. Whether it was due to the magnitude of fighting such a highly touted prospect, or it was power and speed coming at them, all four men were on the retreat from the opening bell. A man like Corrales isn’t going to be shaken by the moment or overwhelmed by anything by what Pico is giving him. The Californian is going to trade with Pico on the feet and will attack with submissions if taken down. It will be new territory for a kid who has been able to steamroll his way to victory so far. We have yet to see him hit consistently or pushed and Corrales is going to do both. Pico is young, and with a stellar base is many aspects of martial arts, it is not out of the realm of possibility for him to overcome the experience gap. Going out there and executing is another story entirely. Bellator 214 will either host the continued ascension of a “blue-chip prospect,” or the emergence of a veteran who has fought a “murderer’s row” of opponents since his debut. Make sure you watch it all unfold. I still haven’t fully come to terms with the fact that “The Last Emperor” is fighting Ryan Bader for a major MMA promotion’s heavyweight championship in 2019. That’s why I love this sport so much. Emelianenko, the man widely considered one of the greatest mixed martial artists of all time, has reemerged from a three-year retirement to find himself one fight away from becoming the Bellator Heavyweight Champion at 42-years-old. His opponent, Ryan “Darth” Bader is looking to add an unhappy ending to Fedor’s run and become Bellator’s first ever simultaneous two-division champion. Bader is on the best run of his career. 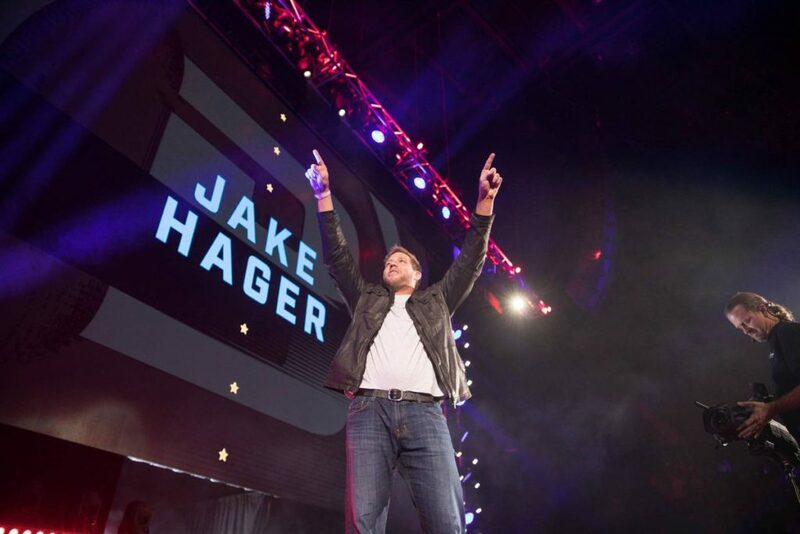 The 35-year-old is on a six-fight win streak, is the current Bellator Light Heavyweight Champion and finds himself in the Bellator Heavyweight Grand Prix finals. The NCAA Division I All-American wrestler has rounded out his MMA game, developing into a more than capable striker with a power threat. He recently started Muhammad “King Mo” Lawal in 15 seconds, but don’t be surprised to see him rely on his strengths and try to finish Fedor with ground and pound. Aside from Bader trying to remove him from consciousness, age is the biggest threat to Fedor at this point in his career. Even the most casual MMA fans know Fedor as one of the greatest fighters to ever participate in the sport. Fedor’s prime saw him as a legitimate threat in every discipline of the game, but those days are behind him. Naturally many of his weapons are on the decline. His legendary granite chin has cracks, and his physical gifts are all starting to deteriorate. He is the underdog in this fight for a reason because it is improbable the 42-year-old can match Bader skill for skill and his best chance at winning lies in the knockout. Thankfully for Fedor, he’s still pretty damn good at knocking people out. There’s a reason why I believe Bader is going to rely on his wrestling. Fedor is coming off back-to-back knockout wins over Frank Mir and Chael Sonnen. In his first fight with the promotion, he dropped Matt Mitrione before ultimately getting finished. The fists of “The Last Emperor” have not lost their fight ending ability and only need one chance to finish Bader. A Fedor victory will complete one of the greatest comeback stories the sport has ever known. This fight sells itself based on storyline alone, and that is why it is my top fight of the weekend. Enjoy the scraps, fight fans! 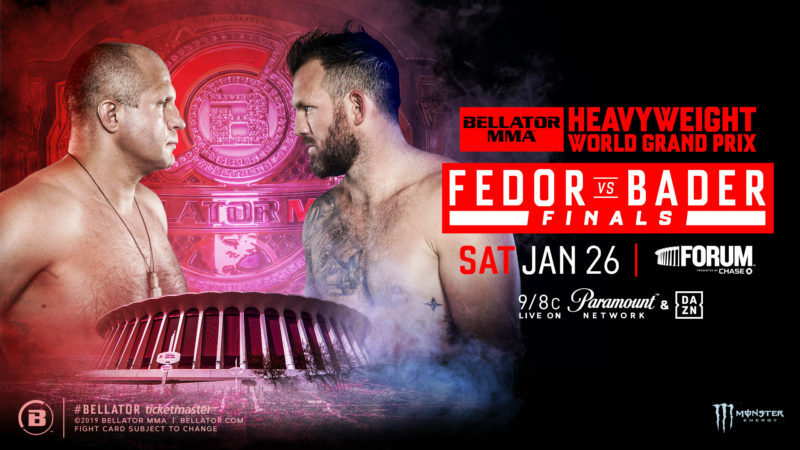 Bellator 214: Fedor vs. Bader – The Last Emperor’s final bow?